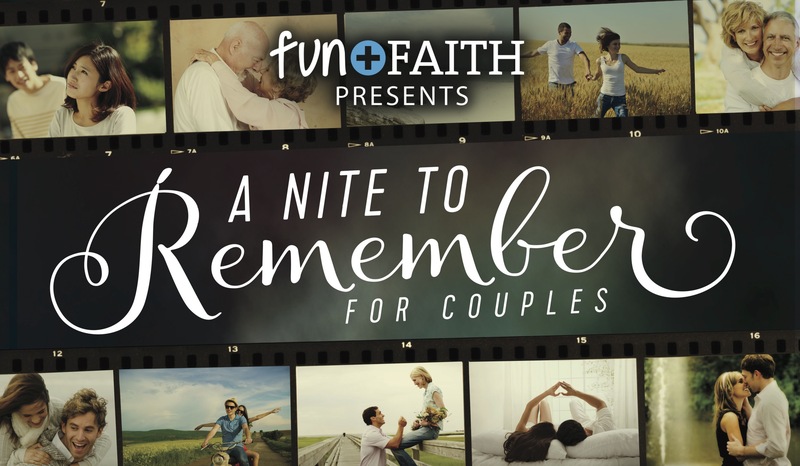 Fun and Faith presents A Nite to Remember for Couples, two hours of laughter and encouragement with comedian and pastor Steve Geyer from Atlanta, GA. Join us for a memorable milesonte-night in your marriage! Laugh and celebrate, as you and your spouse learn how to appreciate your differences better communicate, add sizzle, overcome conflict and THRIVE! Steve is the also author of Shameless, Set Free from the Mask and a featured comic on the Date Night Comedy Tour.